Long summer days lend themselves to later nights and fewer hours of restorative slumber, something pediatricians say is especially necessary for kids to have to succeed upon their return to the classroom. “From memory to judgment, attention span, emotional stability and even immunity, sleep deprivation negatively affects school-age children,” explains Kristin Avis, M.D., UAB assistant professor of pediatrics and a sleep specialist. If you think your child is different and does not need the required amount of sleep, think again. Of children under the age of 18, 60 percent polled by the National Sleep Foundation complained of being tired during the day, and 15 percent reported they fell asleep at school. To curb the feeling, doctors say, get kids to bed early, starting before the bell rings on the first day back. “About a week ahead of school starting, begin to back up their bed-time and wake-up times. This incremental change may start off rough, but it will get easier and ensure they are not miserable on their first day at school,” says Stephenie Wallace, M.D., UAB assistant professor of pediatrics. 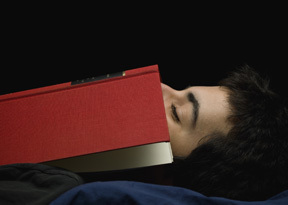 The NSF has guidelines for how much sleep children of various ages require. Three to 5-year-olds need 11 to 13 hours per night, while 5 to 12 year-olds need 10 to 11 hours each night. “As for adolescents, it’s a common myth that they need less sleep, and can handle only seven or eight hours, but they actually need nine hours of sleep. That’s typically the most sleep-deprived population in school,” says Avis. A lack of one good night’s sleep can be made up for, Avis says, but going an entire school week without sufficient rest can be detrimental. “You can sleep until noon on Saturday and feel caught up, but then you will go to bed later that night, sleep in on Sunday, and then have the cycle repeat itself into the new school week,” says Avis. So the best bet is to make sure your child is getting suitable snooze-time every night. To guarantee their sleepy time is spent well, say both doctors, it is important to make kids’ bedrooms as tranquil as possible, which means getting rid of all those noise-makers. “On average, there are three to four electronic gadgets in a kid’’ room. It’s been shown that even sleeping with a television on deprives them of 20 minutes of sleep per night, which may not sound like a lot but adds up over a week’s time,” says Avis. “Cell phones are often used as an alarm clock, but for about five dollars you can invest in a real alarm clock so the phone can be turned off,” Wallace adds. Avis also is further examining what a bad night’s rest can do to a child. Working alongside David Schwebel, Ph.D., UAB professor of psychology and director of the UAB Youth Safety Lab, sleep deprivation and children’s pedestrian injury and general safety risk are being studied, with results expected by late 2011. For patient information, visit UAB Medicine.